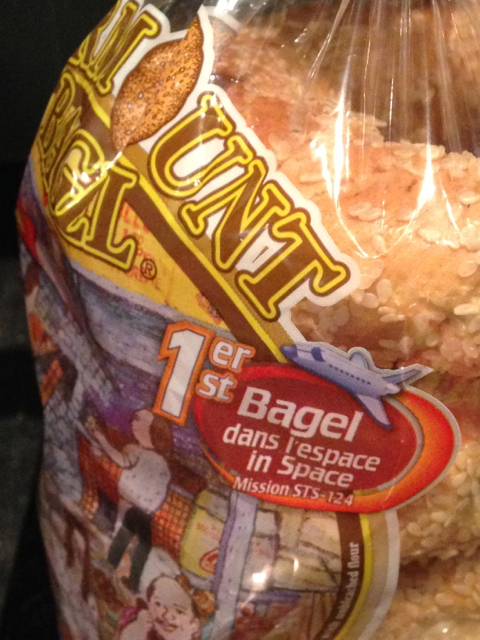 I have the pleasure of living right between Fairmount and St-Viateur Bagel and I refuse to pick a side, but here is one cool thing that I noticed on my bag of bagels from Fairmount: 1st bagel in space! There has been some attention on Fairmount Bagel lately, since they were thought to have joined the world of Twitter but then the account turned out to be a fake. 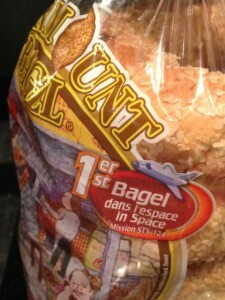 The NASA mission to the International Space Station was STS 124 when Montreal-born astronaut, Greg Chamitoff, brought 18 sesame bagels with him. I don’t know how I missed this but you can read more about it in this 2008 article from CTV News. 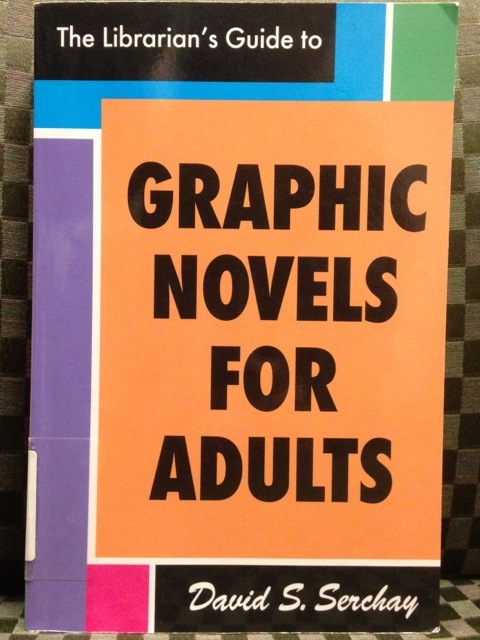 I checked this book out of the library to get myself thinking about graphic novels for the Schulich collection. Feynman, from our Education Curriculum Resources Centre, is juvenile literature and worth a read but there are other great ones out there written for adults. I have been talking with librarians from other university science and engineering libraries that have been purchasing books in this format but I’d love to hear from you. Do you have any graphic novels to recommend that touch on science and technology? Trottier Institute for Sustainability in Engineering and Design (TISED) is inviting you to register to attend the event below, taking place on December 16th, 2014 at the Faculty Club. “You never change things by fighting the existing reality. To change something, build a new model that makes the existing model obsolete” – Buckminster Fuller. 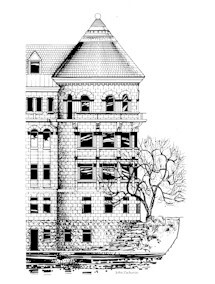 This advice has been the guiding light during this Fall TISED course: “Design and Analysis of Sustainable Urban Neighbourhoods for Energy, Water and Food Independence”. Supported through a gift from Fondation 3E, this interdisciplinary class brought together students from Architecture, Urban Planning and Engineering to design this new model, i.e. this new paradigm for a living arrangement that would contribute towards rendering the many destructive aspects of today’s reality simply obsolete. While two groups explored the possibility of retrofitting an existing, conventional suburb on the Island of Montreal (in Dollard-des-Ormeaux) to make it autonomous in operational needs for energy, water and food, a third group explored the possibility of designing a brand new autonomous neighbourhood on a vacant, greenfield site (in Ste-Anne-de-Bellevue). Professor Sevag Pogharian (Founder and President of MontrealZero) will provide us with his course’s context and student learning opportunities.